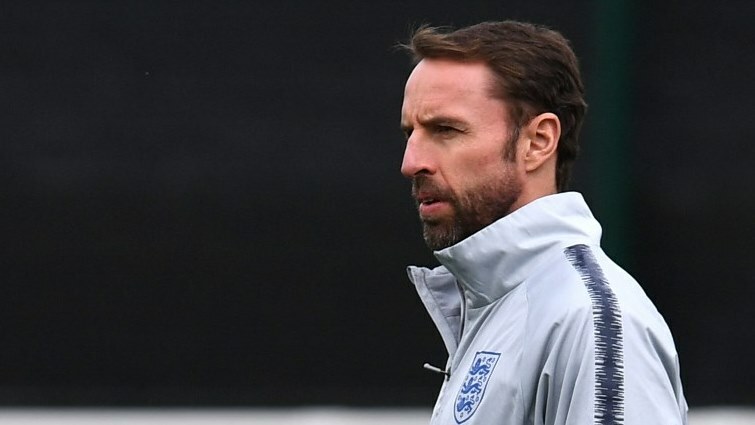 Southgate supports Rice amid IRA social media storm - SABC News - Breaking news, special reports, world, business, sport coverage of all South African current events. Africa's news leader. England's manager Gareth Southgate attends an England team training session at St George's Park. England manager Gareth Southgate expressed his support for Declan Rice after the West Ham midfielder apologised on Thursday for old social media posts that appeared to express support for the IRA. Comments made on social media in 2015 surfaced on Thursday with the hashtag ‘UPTHERA’. “I am aware that a poorly-expressed comment I made when I was a junior player has been circulated on social media,” said Rice in a statement. “He’s apologised. It’s not representative of what he believes and feels and his views,” said the England manager. Rashford’s absence means that one of 18-year-old pair Jadon Sancho or Callum Hudson-Odoi is likely to start alongside Harry Kane and Raheem Sterling in attack. But Southgate insists he has the faith in the winger’s talent that Maurizio Sarri often has not at Stamford Bridge this season. “Jadon has had more big match experience at this point, but Callum has fitted in brilliantly. I wouldn’t hesitate to start either of them, they are ready. They can play for us,” he added. “Ideally you would have them all playing regularly and ideally they would all have a certain number of games for their clubs, but I can’t wait for that. “I can’t wait for clubs to pick players 50, 100 times. That is not the landscape we are operating in. This entry was posted on 21 Mar 2019,08:23PM at 8:23 PM and is filed under Sport. You can follow any responses to this entry through the RSS 2.0 feed. Both comments and pings are currently closed.